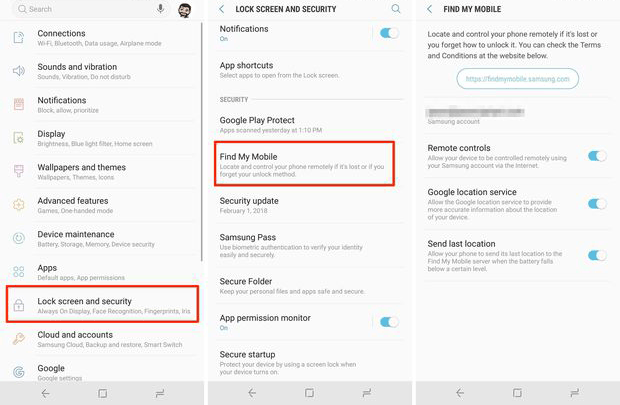 Your Samsung smartphone is possibly locked and tied to a particular carrier's cellular services unless you acquired a device that was already unlocked. You need to unlock your Samsung device if you are to use it with another carrier's cellular service. You can either request the service provider to unlock it for you or use various solutions to unlock it yourself. If your carrier refuses to unlock the device for you due to various reasons, you can unlock Samsung phones by following the solutions discussed in this article. When using this solution, it is a must for one to activate remote controls features in the phone and then sign in to Samsung Account. You can access "Remote controls" features by going to "Settings", then "Lock screen and security" and then "Find My Mobile". Here is how to unlock Samsung a Samsung phone and tablet via this method. > Go to Find My Mobile Service. > On the right section in Find My Mobile, choose "Unlock". > Tap on the "Unlock" button and then input your Samsung Account secure code to confirm the selection. > You should note that the screen lock info such as password, pattern, PIN as well as biometrics will be erased. For those users that like traveling, it is ideal for them to have the ability to use their Samsung phones in other countries. When your Samsung Galaxy is unlocked, you can have your Samsung Galaxy unlocked by restoring Samsung to factory default settings. However, this will delete all content and settings from your Samsung phone, so please remember to back up data on Samsung Galaxy S9/S9 Plus/S8/S8 Plus before factory reset in case of data lost. 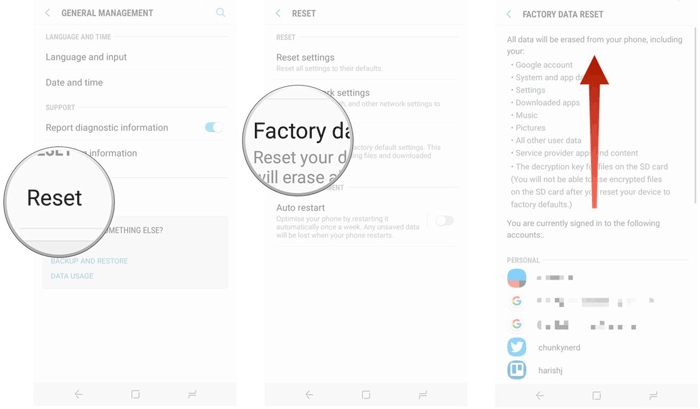 If you lose some important data from Samsung phone after factory reset, take it easy, there is still a way to recover Samsung data after factory reset. > Contact your carrier and inquire more about their unlock plans. Usually, most carriers across the world unlock users' phones after a specific period has passed or after the expiration of the contract. In some scenarios, you may be required to pay termination fees if the expiration period isn't due yet. However, your phone will be unlocked if you inform them that you are going overseas to conduct businesses. > Get in touch with the carrier that you want to move to. Most carriers are more than happy to unlock devices if one is coming from a competitor. Therefore, contact the carrier that you want to move to and inquire whether they will help. Besides, you should ensure that the carrier you are moving to supports the network type of your device. > Search for Samsung unlock codes list on the internet. The manufacturer often offers the generic unlock codes as the phone becomes old. 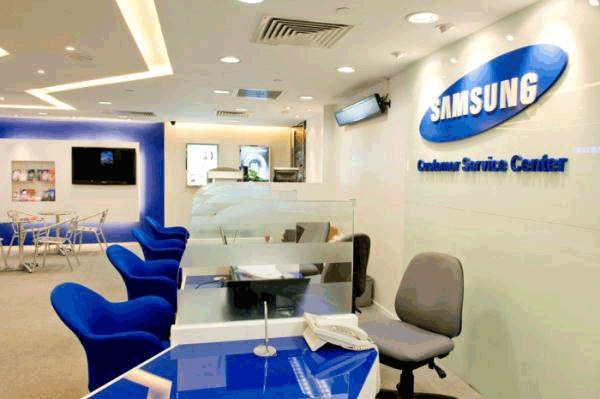 If needed, you can also read the guide on how to unlock Samsung to any SIM carrier here. > Look for your phone's IMEI or MEID number. This number is needed when ordering for unlock codes. 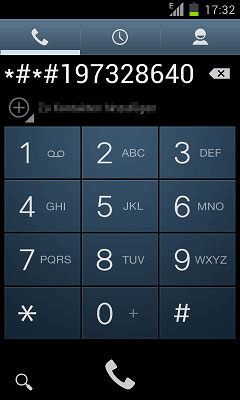 You can get your phone's IMEI code by dialing *#06# on your dial keypad. > Look for a reliable unlocking service. Be sure to watch out for scammers. > Request a code. 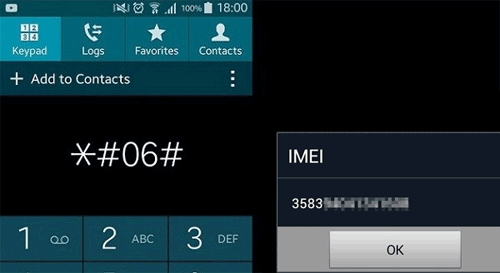 Users are required to give their IMEI number as well as the contact and payment info. The amount incurred is based on the model being unlocked and the speed of retrieving the code. > Insert your brand new SIM card. After getting your unlock code, switch OFF your device and remove the old carrier's SIM card. Insert the new SIM card after removing the other one. > Switch ON your phone. You will be needed to input the unlock code when connecting to the new phone network. Input the code you got from the unlocking service. > Confirm that your phone is connected. The phone will connect to the new mobile network if everything was done correctly. Else, confirm that you are within the coverage range when connecting to the new network. If this fails, you can call the new carrier to ascertain whether or not the phone was correctly unlocked. > Confirm that your Samsung phone is up to date. The phone must be operating on Android 4.1.1 or higher for this solution to work. The version of your device can be checked by going to settings, and then "About Device" which is usually at the bottom of that page. You can update the phone from the "About Device" section by going to "System Updates" in the next page and then click the "Check for Updates" option. The phone will search for any updates available. If there is an update available, update the phone accordingly. > Access the dialer. You will be required to input a code in the dialer to access the service menu. Enter this code "*#197328640# after opening the dialer. > Select " UMTS". A service menu will be launched instantly after entering the above code. Tap the menu selection on the screen to choose " UMTS". > Launch the debug menu. From the UMTS menu, choose " Debug Screen". At the Debug menu, choose " Phone Control". Select " Network Lock in the phone control menu. > Choose " Perso SHA256 Off’. Wait for about thirty seconds after choosing this option. Tap on the Menu button and then tap "Back". select " NW Lock NV Data Initialliz". > Wait and restart the phone. After clicking the option outlined above, wait for sixty seconds and then reboot your phone. You have to input a SIM card to check whether or not the method worked because you will not get any validation that the process worked. > Ensure that your phone is compatible with this method. This method only works for Galaxy S4s on T-Mobile and AT & T. Also, the method only works on a stock phone. > Launch the dialer. You will be required to enter this code "*#2766338378#" to open the service menu. > Choose " UMTS’. This service mode will be instantly opened after entering the code. 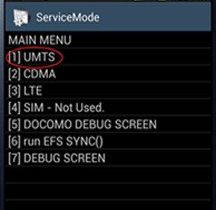 The service mode menu is a powerful diagnostic menu for your device. You should only use it to make changes to the settings outlined in this guide. If you perform other changes, your device may become inoperable. > Launch the Debug menu. Select " Debug Screen" from the UTMS menu. Choose " Phone Control" from the debug menu. From the Phone Control menu, choose " Network Lock". > Choose " Perso ShAA256 Off". After selecting this option, you should have this [SHA256_Enabled_Flag  SHA256_OFF=>SHA256_ON] info displayed on your phone's screen. > To continue, click the menu button on your device and choose Back option. > Confirm that the settings changed appropriately. After backing up, the message from step 4 above should now show up as below: [SHA256_Enabled_Flag  SHA256_OFF=>Not Change]. > Go back to the UMTS menu. Tap the menu button and then tap "Back" 4 times until you get back to the UMTS main interface. Choose " Common" and then choose " NV Rebuild". You should get this message (Golden-Backup exist You can Restore Cal/NV). > Restore this backup. Choose " Restore Back-up from the NV Rebuild". Your phone will be restarted automatically. 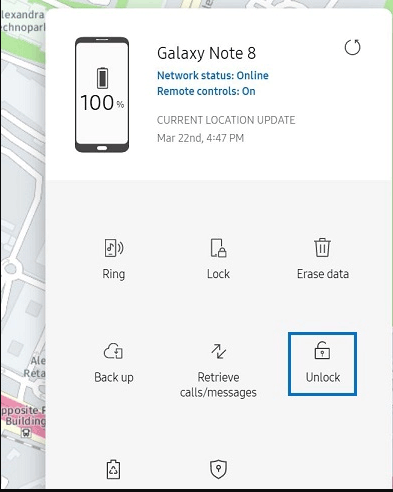 Your Samsung device is now unlocked, and you can insert the new SIM card carrier. Confirm that you can connect to the new network carrier. 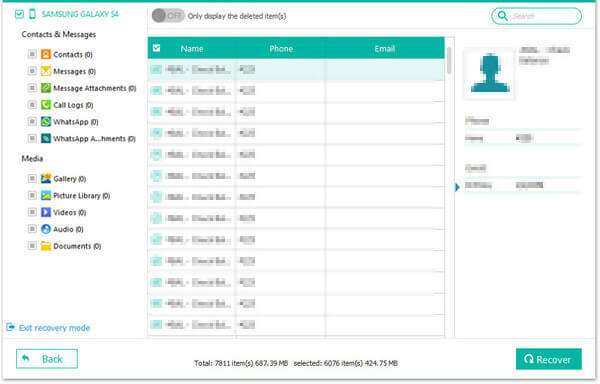 > It allows you to recover many items that you want from your phone including contacts, music, videos, among others. > It does not damage your data. > It has the option of allowing you to preview data before performing a recovery. > It has a friendly user interface. First Step: Download and install the program on your PC. Launch the application and then connect your Samsung phone to the computer. > Use a working USB cable to connect your damaged Samsung phone to the PC. 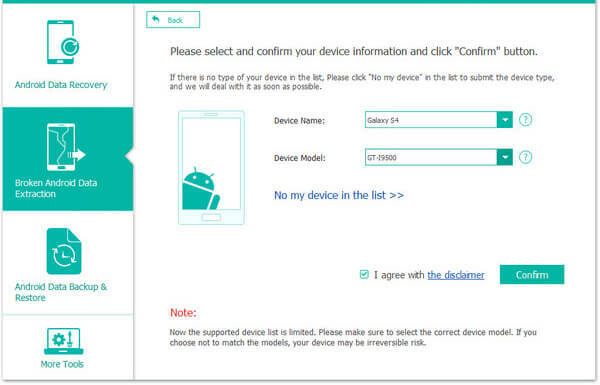 Launch the program and choose "Broken Android Phone Data Extraction" option. Tap the "Start" button to access the memory of your phone. Second Step: Select the phone model you want to retrieve its data. > The application will instantly guide you to the second step. From here, you need to select the phone name as well as the model. Click the "confirm button to validate your selection. Afterward, you should enter your phone into download mode. Tap "Next" option to begin the scanning process in your damaged Galaxy phone. After the process completes, assess carefully and then check the data that you want to retrieve. Tap the "Recovery" button to pop up the path for saving your retrieved Samsung data. From here, the retrieval will start instantly. How to Access A Locked Android Phone via USB? 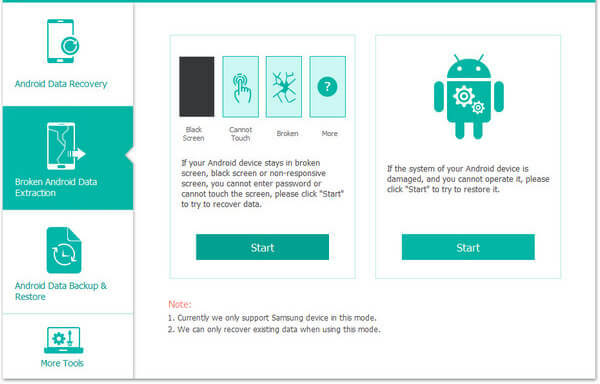 How to Recover Data from Broken or Dead Samsung Galaxy S/Note?